Hello friends! It's already the end of another month, so that means it's time to show off your best project from February. And, we have another super fun guest host today who I can't wait for you to meet! 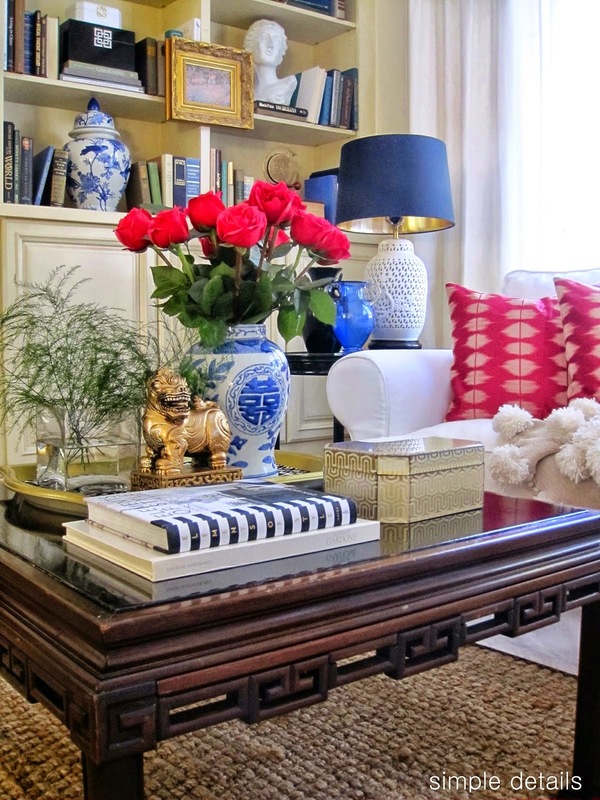 Pam shared not one, but THREE different ways to style a beautiful coffee table. I love her sense of humor, you'll have to read the post to see how she compared her stash of coffee tables to her love of actual coffee! 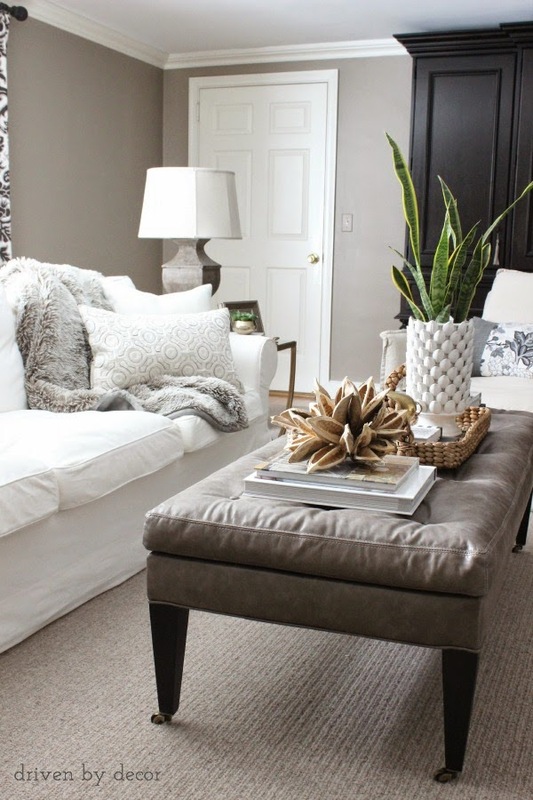 Kris provided a super-handy tip guide for common living room dilemmas... what size rug should I buy? How large should my coffee table be? Click over to Driven by Decor for a convenient image to pin for easy reference. Lisa showed us how to make a fabric covered cornice board, and then taught us an ingenious way to hang it! I'm planning to it out on the door in our bedroom that leads out to the back patio. I'll be keeping this tutorial handy! Last month we announced the new addition of including a fellow blogger to share the BOTN hosting duties with us. This time, we're pleased to welcome Jenna from Rain on a Tin Roof as our Guest Host. Jenna and I are on the same decorating wavelength, as we both have a major crush on color and pattern and quirky things! 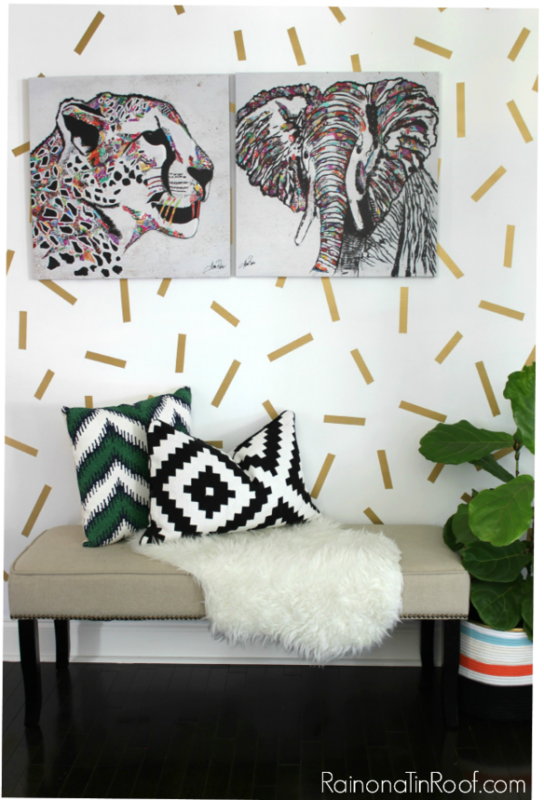 She's sharing her recent entryway makeover with us today, and it is so much fun. Hope over to Jenna's and look around, I know you'll love what you see! And don't forget, even if you aren't a blogger you can still participate. 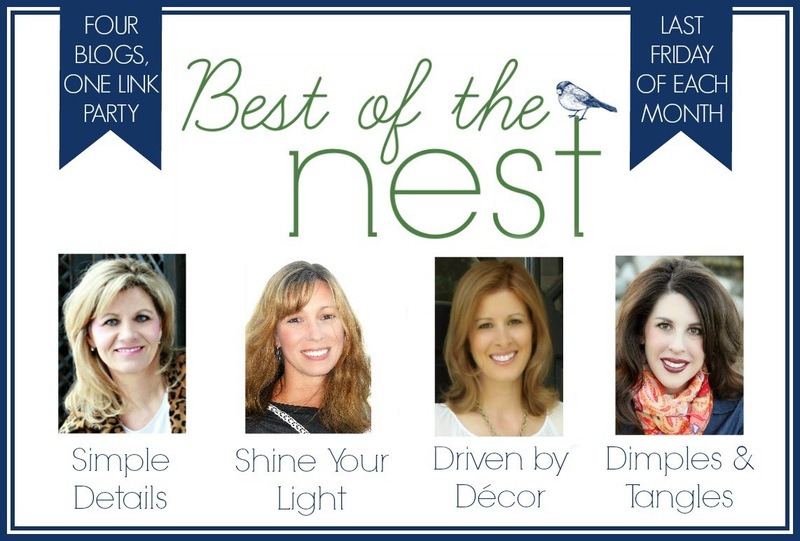 Just post a photo on Instagram and be sure to tag at least one of the hosts and use the hashtag #bestofthenestparty. *Link to your specific post, not your home page. *Please make sure that your project is from FEBRUARY. *Only ONE link per person! If more than one link is added, all but your first link will be deleted. *Please link back to one of the hosts in your post. *Spread some comment love - please visit and comment on at least two other links in the party. Feel free to grab a button for your post! Alright, show us what you've got! 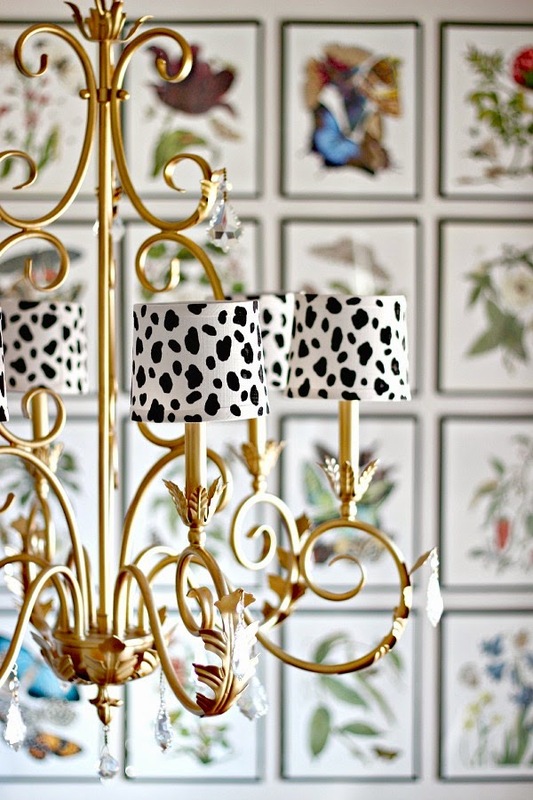 Jennifer Thanks so much for hosting this link party:) I adore your use of color in your home! Hi Jennifer! Many thanks to you and the other hostesses for bringing this monthly party to/for us!!! Good home decor, I like the simple and elegant style. My February has been hu-hmmm so just shared an organization project I did last month. Thanks for hosting ladies! PUT A TASSEL ON IT!